Message Queuing Telemetry Transport (MQTT) Protocol sits on top of the TCP/IP protocol and is used for messaging services using a broker. It is often wrongly said that Message Queuing Telemetry Transport (MQTT) Protocol is a Protocol of Internet of Things – not really, MQTT is used by Facebook uses for their Mobile App’s Chat service. This Protocol falls among the major Protocols Related to Internet of Things (IoT), but itself is not a defining protocol of IoT. Right now, MQTT is at Version 3.1 (2013). The protocol was invented by Andy Stanford-Clerk and Arlen Nippe. As mentioned at the beginning, Message Queuing Telemetry Transport (MQTT) Protocol runs over TCP/IP. MQTT can transfer telemetry style data from sensor and actuator. This is the basic reason of making MQTT related to IoT. Sensor can communicate with applications through a MQTT message broker even on narrow bandwidth. Message broker is an intermediary program which translates the language of a system from one globally acceptable language to another by way of a telecommunications medium. So the usages can be; for example, in health clinics where doctors can remotely monitor patients living few hundreds Miles away from them. 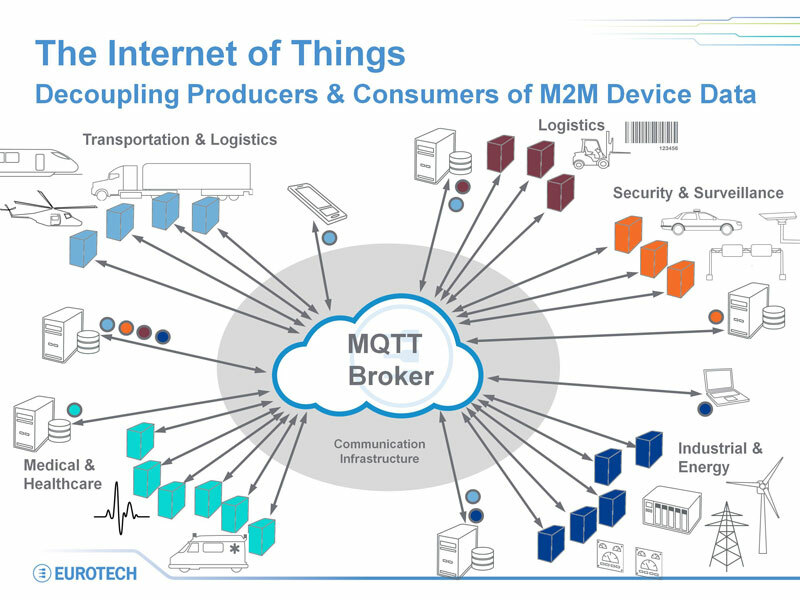 Advantages of MQTT include fast throughput and response time, lesser usage of bandwidth, multiple message subscription multiplexing over a single connection etceteras. Over he last two tears the protocol itself has been moved to the open source community, so a significant growth in mobile applications can be seen. Message Queuing Telemetry Transport (MQTT) Protocol’s major plus points are the simplicity, a compact binary packet payload with no message properties, compressed headers. These features makes it a good fit for simple push messaging scenarios. Tagged With paperuri:(8295830428c11790117a77ceb5edc4bf) , message queuing telemetry transport , Architecture of mqtt protocol , MESSAGE QUEUE TELEMENTRY TRANSPORT , message queue transfer protocol , mqtt protocol architecture , what is message queuing usages? This Article Has Been Shared 5188 Times! Installing Collabtive Groupware on Rackspace Cloud Sites is quite easy. Here is a step by step guide to save your money for only installation service. White Balance can be very useful tool to know about and how to set White Balance to improve to our photos and correct errors that occurred when shooting. Cite this article as: Abhishek Ghosh, "Message Queuing Telemetry Transport (MQTT) Protocol," in The Customize Windows, July 18, 2014, April 21, 2019, https://thecustomizewindows.com/2014/07/message-queuing-telemetry-transport-mqtt-protocol/.